What are the best bee products and the best Apitherapy protocols to improve health, beauty and strength? Nervous system Oral forms: fresh collected bee products, or at least fresh frozen, in any form that can be swallowed (honey-pollen mixtures, tablets, capsules, powder, granules, tincture, syrups, in form of liquids, juices, etc. ); bee venom in solution form for injection on acupuncture points; ointments and/or creams to stimulate the blood flow in the head and vertebral column area Per oral (products that can be swallowed). Injectable bee venom solution and/or live bee stings applied on the painful spots and/or on the acupuncture points/meridians. Upper and lower limbs Bee venom and Propolis Creams and Ointments + beeswax, propolis cataplasms + injectable bee venom solutions + oral forms Same as above; the best acupuncture points are located on the “Yang”, more hairy areas. Uro-genital Apparatus For women : Suppositories + vaginal suppositories + creams and ointments + vaginal solutions with propolis and/or royal jelly + injectable solutions + oral forms, especially propolis extracts + fresh frozen royal jelly. Suppositories + creams and ointments + injectable solutions + oral forms, especially propolis extracts + pollen preparations and products Local use of suppositories (intra-rectal) + local stimulation of the acupuncture points with the creams and/or ointments + solutions to be used by women intra-vaginally. What are usually the best doses? The ones that bring relief, which improves immediately or on a long term our health, strength and beauty. It is always recommended (except for the emergencies like burns or scalds) to use the bee products initially in very small doses (to test for a possible allergy or intolerance), than to increase gradually until a clear improvement occurs (see the quantity/time relationship). What are the best pharmacological preparations and/or products for me? The ones that reach faster and in enough amount the affected tissues, organs or systems in your body. Ask always your local health practitioner and your pharmacist what could be the best forms. Use also, as guidelines, the above table. What is the best way to administer the bee products for my health, strength and beauty? Ideally is to administer as many as possible pharmacological forms (see above), to be sure that you will reach the affected area with enough nutrients, oxygen and active healing compounds. What are the best doses and administration methods for children and old people? For children under 3 years ¼ of a dose of an adult. For children between 3-8 is better to use 1/3 of the adult dose and for the children between 8-12 use half (1/2) of the adult dose. What is the best time/quantity relationship for me when I use bee products for health? How much time and in what amount shall I take the bee products? 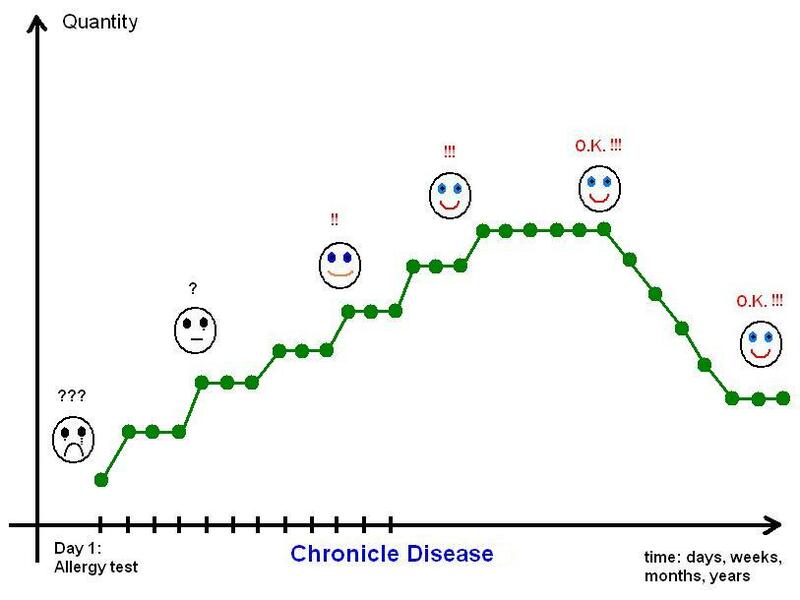 For those diseases that have less symptoms than usually (like blood diseases or cancers in initial stages) the level of “smile” can be obtained through specific laboratory analysis. After complete healing/improvement pauses can be taken, according to the medical advice. Are there any adverse reactions when I take the bee products together with other remedies or practice simultaneously Apitherapy with other healing methods? Usually not, but in some cases the use of bee venom therapy is restricted for those taking heart related drugs. Also, rheumatic and multiple sclerosis patients are usually advised to refrain from taking steroidal and non-steroidal anti-inflammatory drugs during bee venom therapy. In cases when your medical doctor prescribed you mandatory some drugs, you can use though the “soft” bee products like honey, bee pollen, royal jelly and propolis, and once the situation is improved, with the agreement of your doctor, you can start also bee venom therapy. What persons can practice bee venom therapy? Only the licensed medical doctors (MD) and the Naturopathic Doctors (HP) can inject various bee products extracts and/or bee venom in solution form. Any person can though use propolis and bee venom ointments but respecting the leaflet recommendations. How can we improve the efficacy of bee products through other remedies and/or healing methods? Is my diet and lifestyle important in Apitherapy? Any other method or remedy that can improve the absorption of the bee products related nutrients and/or active compounds should be used. Also, any other healing method that detoxifies the body, mind and spirit should be used. Once the necessary nutrients, the water and the oxygen have reached the affected area in perfect quantity and quality, the regeneration/improvement of that area should start. In this phase, a very good local or general systemic relaxation (sleep) can make wonders. Learn and use any technique of relaxation, Yoga, Taiji Quan recommended by your local psychotherapist in order to get faster the results you wish. All our living cells from our body needs besides nutrients, water and oxygen, also a warm enough environment; so learn to use daily massage and calisthenics (gymnastic) techniques. Our health depends 50% of our diet, 40% of our lifestyle and only 10% of the treatments we make, so be sure to have also a very good diet, specific to your body needs and to your constitution. Here, the specific advises of your nutritionist (ideally specialized in Ayurveda too) can help you also tremendously. What are the major counter-indications and limits of bee products? The allergies (especially the bee venom allergy), the intolerances (especially to honey and pollen) and the excessive (non-controlled) use of honey in cases of diabetes type 1. If the dose is correctly selected and the administration method is proper, even the people having normally counter-indications to the use of bee products can use them, but of course ONLY under strict medical control. Where do I find more specific information? Ask first of all your local health practitioners and the registered Apitherapy practitioners in your area; besides consulting your local Yellow Pages, we suggest to visit also our “Addresses” Page. If you would like to learn, from the practical point of view too, how to apply all above advices, by treating your customers/patients with medicinal-bee plants, beehive products and/or essential oils (aromatherapy), join our Intensive Apitherapy Courses & Hands-on Workshops in Romania. See more details in this page.